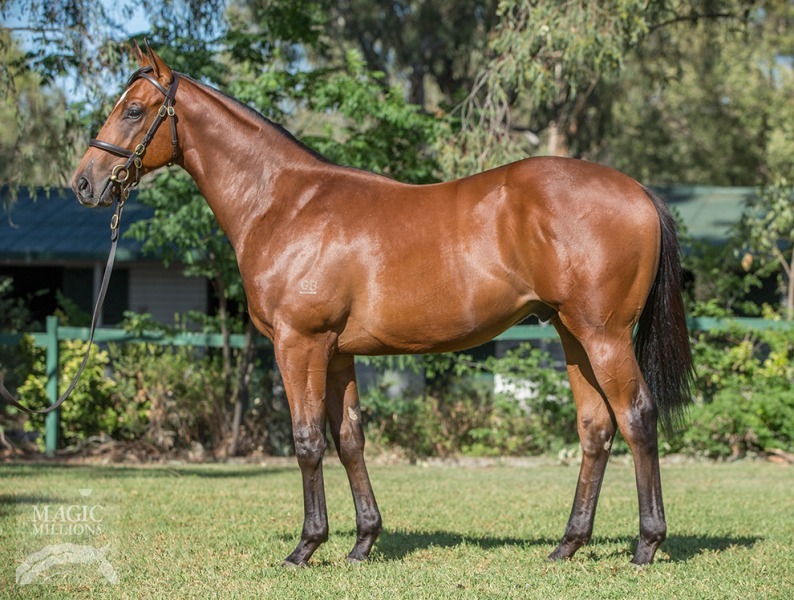 Phoenix Thoroughbreds added two colts to their roster on the opening day of the Magic Millions Gold Coast Yearling Sale, during a session of strong trade. The team behind the innovative fund were quick to move, buying sale-topping Lot 34, a colt by Group One winner Redoute’s Choice, for $AU1.6m in partnership with Aquis Farms. A three-quarters brother to Group One success story Stratum Star and out of Purely Spectacular, who herself is a half-sister to Listed winner & Group one-placed Raid, the horse was seen as one of the stand outs of the sale. He not only catches eye as a racehorse but, given his pedigree, as a future sire as well and was one of four offerings to be knocked down for seven figures on the day. The sale topping Lot 34 bought in partnership with Aquis Farms. After this initial purchase, patience was the name of the game for the Dubai based operation as it would be several hours before they would enter the market again. It was Lot 217 that caught the eye of the expert team, the third and final Rich Enuff progeny to be offered on day one. 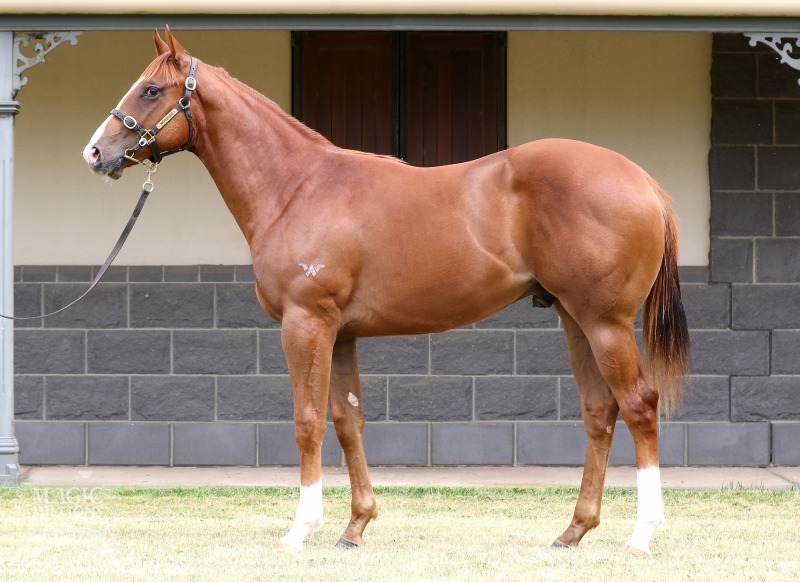 Bought for $AU170.000 his dam, The Duster, is a three-quarters sister to multiple top class winner She’s Clean while the colt’s family tree also includes Group One winners Abbey Marie, Absolutely and Champion Sprinter and Miler in Japan Kinshasa No Kinseki. Lot 217 related to multiple Group One winners. Thunder Set For Guineas Trial.